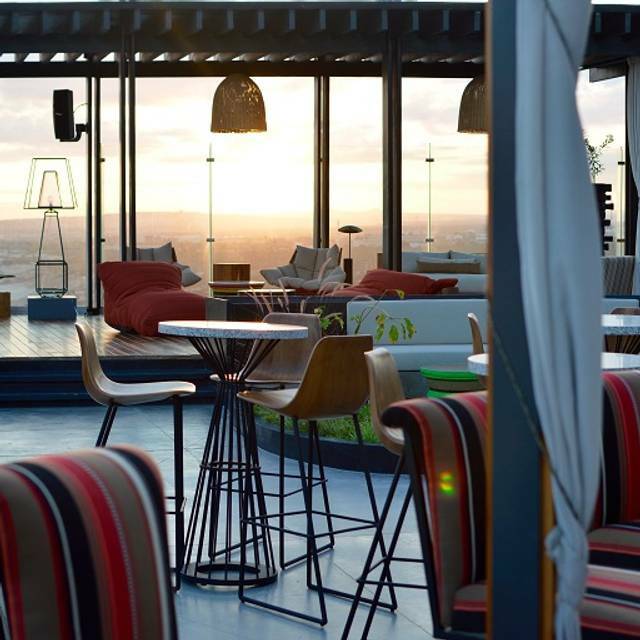 Debe realizar reservaciones con al menos 5 minutos de adelanto en The Rooftop at The Cape a Thompson Hotel. 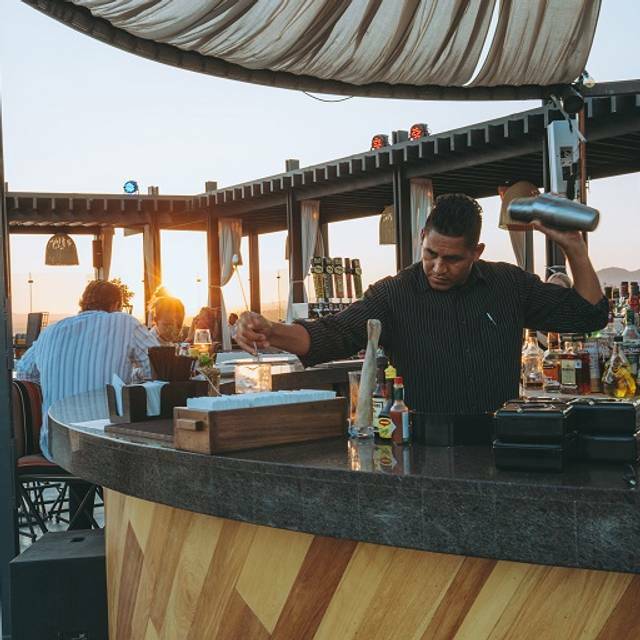 As evening approaches, join us on the roof top terrace, an al fresco sky garden with sweeping views to downtown Cabo San Lucas and El Arco. Lush greenery, flowing waters and a dramatic sunken lounge with a contemporary fire pit create a relaxed, communal vibe. The bar and the beer garden are fueled by handcrafted cocktails and artisanal beers from throughout the local region. Germain was awesome!! Good food,service and entertainment. Loved the ambiance with a view of the arch and comfy seating for our group. Small plates were yummy. We love to go to The Rooftop at The Cape! The music is always great! Especially when Paul is playing. He has an amazing voice and we thoroughly enjoy him. This time we visited for my birthday and Fernanda and Marina mad it very special! Paul even sang Happy Birthday to me! Such a wonderful place and the food is always very good! Can't wait to go back!!! Absolutely gorgeous! Come at sunset, you will not be disappointed! We’ve been here once before 2 years ago & wanted to come back again! Andres was a wonderful, attentive server & so kind! The views from here are breathtaking, especially at sunset! 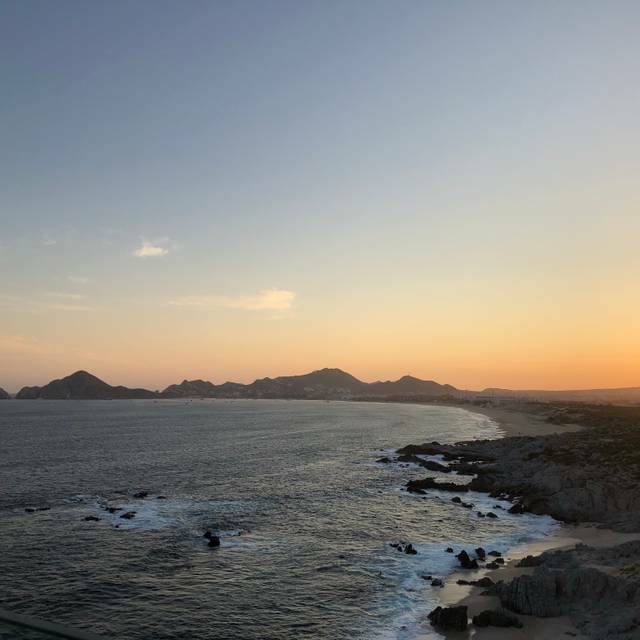 Our favorite evening of the 5 nights in Cabo! Awesome views, great cocktails and food. Excellent view of the sunset, service was outstanding, this was our 1st time visiting The rooftop at The Cape and will make it a definite must each year! One suggestion, we had a quaint table for 2 closest to the steps that lead out to a couch area for a larger group when we arrived and were seated here we thought how lucky we were to have the best seat in the house - as soon as the sun started setting, there was a line up next to us, people pushing into my husband’s chair and one group after the other proceeded in front of us to take pictures, some even using the table our appetizer was served on to hold their belongings - and instead of us enjoying the sunset and a romantic moment, we got to view at least 20 people enjoy the sunset and watch them take pictures. It might be a good idea to remove that intimate table for 2 as it was probably the worst seat especially if waiters are going to bring people over to take pictures in front of you all night. Absolutely loved this place. Would go back in a heartbeat!! Fantastic sunset! Def come for that! Food is fantastic for a bar. Drinks are pricey but creative. So fun, dj playing awesome music from sunset onward. AMAZING food, drinks and atmosphere. We absolutely loved it! Our server Samuel was attentive, professional, pro-active etc. Highly recommended! View is amazing! Drinks were great! 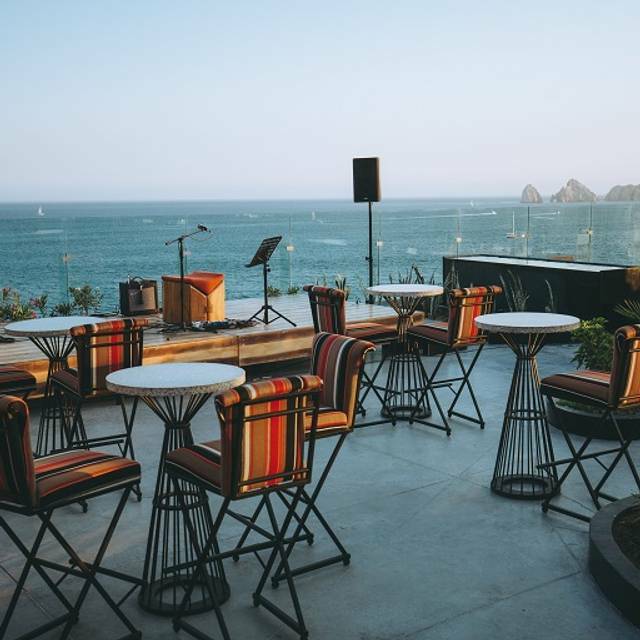 Lovely cocktails, fun DJ, hip ambiance and amazing views of Cabo and el arco at sunset! Can’t wait to go back! Service was absolutely terrible. There were only two of us there and we got there at 9:15 with barely anyone in the restaurant. There were plenty of waiters. By the time we did get service, the food was mediocre. 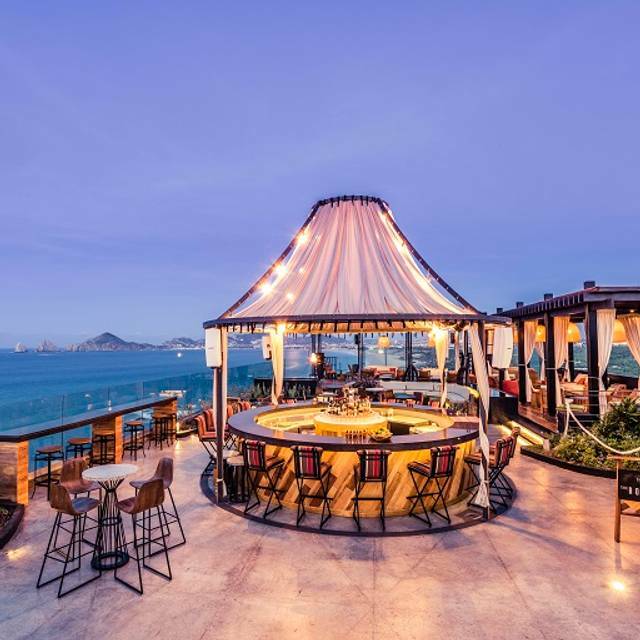 There are just too many other amazing places to eat in Cabo. Don’t get sold on the hype of this trendy somewhat cheap hotel. Cancelled our reservation without our notification because yeh decided to have a private event. Long story short...we rebooked at a later hour and enjoyed our visit...beautiful property! BUT!! Big but..front gate was very hesitant to let us in...argued with him for 5-10 min. He told me that my opentable reservation wasn’t valid. Eventually we were allowed in and spent $800 at the bar lucky them...total ignorance. We made a reservation for 6:00, so we could watch the sunset We were greeted right away and taken to our table. It was perfect. We ordered drinks and appetizers, all were good. The disappointment came when we received our bill and we were charged for a drink that we did not order. We told our waiter and he took our bill and left the table. He came back and told us that he could not take the drink off our bill and offered to pay us from his billfold. We became suspicious We paid and left the restaurant, went down stairs and asked to see the manager. He said that he would have fixed the issue with our bill. I guess one should always be careful when it comes to charges. Outstanding view. Service provided by Marina was excellent very good food and drinks. We’re here on vacation. Ii would give this a five star rating. We will definitely go back!! Awesome view with excellent wine, food and music. This is a "do-not-miss" experience in Cabo. Nice place to watch the sunset and have a cocktail. In my search to Cabo, I wanted to dine at a very special place for our Anniversary. The Rooftop had rave reviews. I secretly planned this dinner through Open table before leaving Hawaii. The A. Thompson Hotel is set off back from the highway. Very secluded near the Sea of Cortez. They provide valet parking at no cost. As you walk into the hotel, you'll see a 15-20 feet Whale created from Drift Wood. There's a lower level that contains a bar as well as an amazing scenic view. Miles of sandy beaches where cruise ships and boats passage. Andres Arellano is our waiter. He performed exceptionally. All of his recommendations were perfecto! From the Red Potato Octopus to the Tuna Tacos, which was all for John. I ordered the boneless chicken thighs with a very tangy sauce. We had the best seat or may I say view in the Rooftop. We clearly watched the picturesque sunset behind the mountain. The view of the city at night was breathtaking. We witnessed the Princess Cruise ship Firework Show. From Larger for Hubby to my Sweet Margarita. We laughed, Ate and Talked the night away. As the night went on, they provided blankets to shield the cooler weather as we sat by the fireplace. Finale of the night was Andres celebrating our Anniversary with A Champagne Toast. 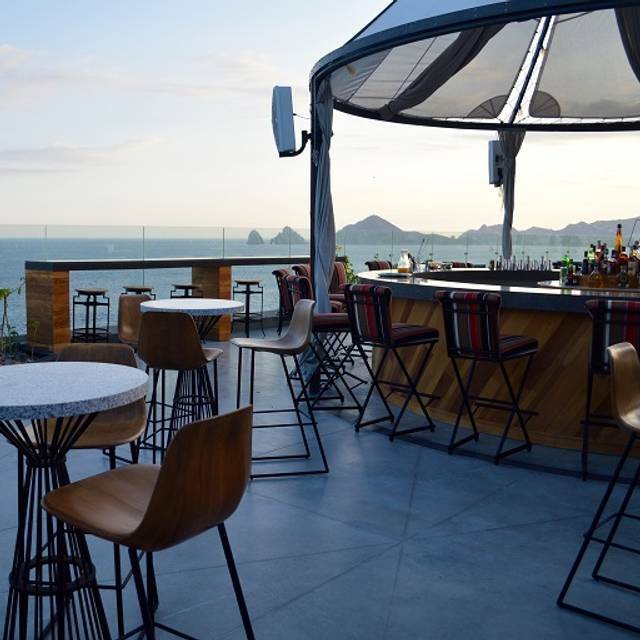 The Rooftop made our trip to Cabo San Lucas Mexico Unforgettable! 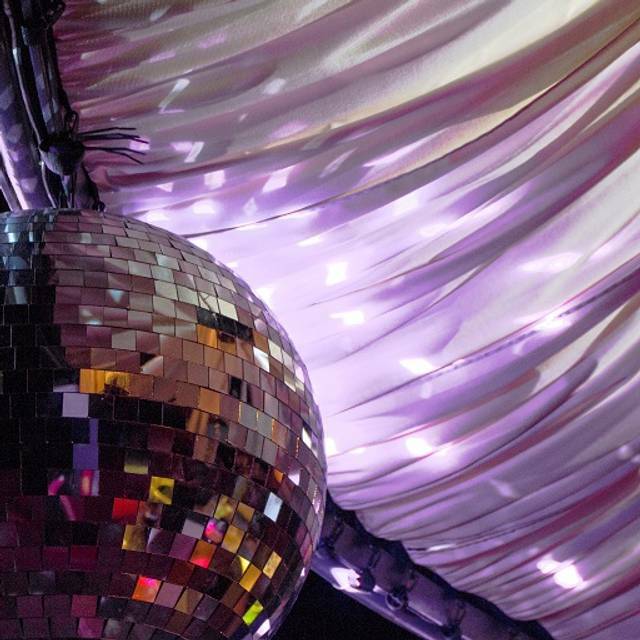 What a beautiful setting--and you'll pay for it! Cocktails were very tasty and the buratta salad as well as mini quesadillas were great. Portions are very small and expensive, but seem well executed. 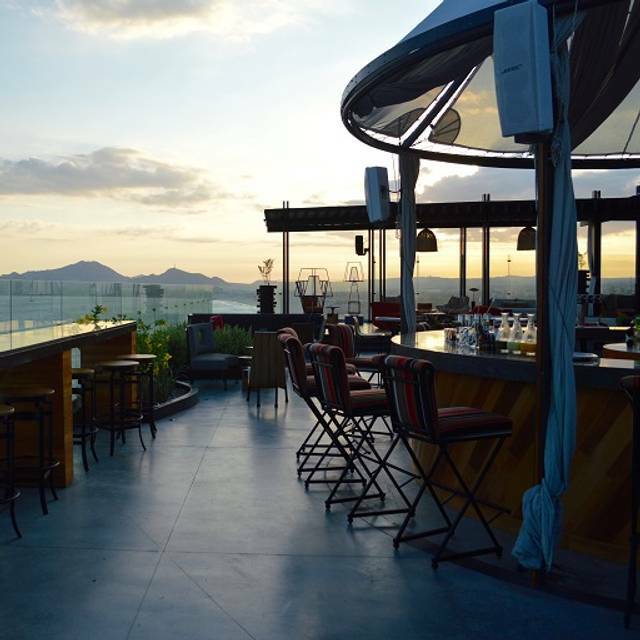 Book a table in advance at sunset for the best possible view--it's absolutely stunning. Loved it! Beautiful setting. Great waiter. 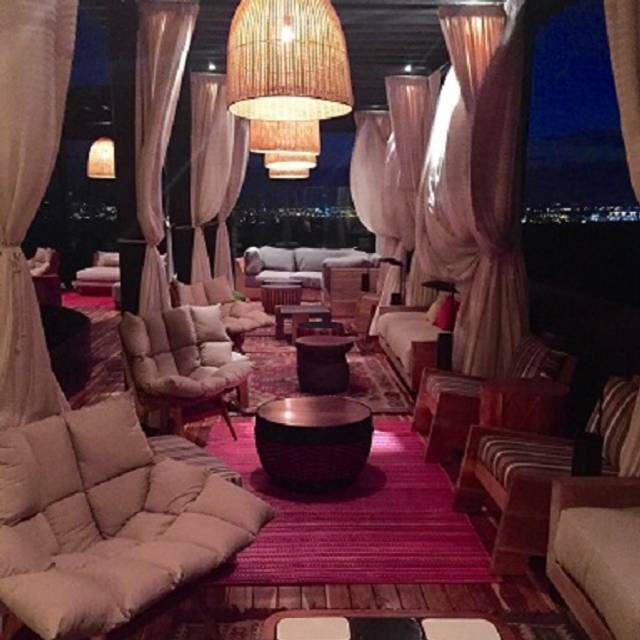 Rooftop is an aweso.e place with great views of the city and ocean. It's a high class place to party with your friends. It has very comfortable lounge chairs. Food is tapas like and is small plates but very tasty. We ordered about half of the menu since they were small bites and shared. I literally never eat seafood and all I could think about was the crab taquitos, chicken quesadilla, and crostini. That's not even to mention the drinks! Amazing atmosphere and fantastic views. Food is small plates and excellent! More of a club than a restaurant. Limited menu.